Rezone Health & Oxygen Hotel | Hoşgeldiniz..
All your needs are taken into consideration and various health programs are designed in Rezone Health Centre to help you have a perfect getaway from the busy daily life and to have a healthy and fit body and a relaxed soul. Rezone Health & Oxygen Hotel; with its menu prepared with the best choices of Aegean dishes, quiet, peaceful and friendly atmosphere, while giving its back to Kaz Mountains’ fir pine trees and in between olive trees is the most beautiful hotel of North Aegean combining health, entertainment and 5 stars comfort. After you wake up with the voice of singing birds in the morning and having your perfect village breakfast with natural products that Kaz Mountains serve, you can join to our tours and discover natural beauties or have a journey to secrets of history while fulfilling your life energy. 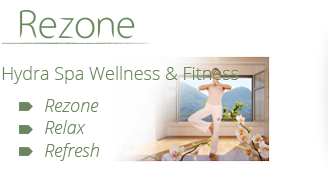 Rezone Health & Oxygen Hotel; is a health hotel that provides traditional massages, bath therapies, skin care applications, physical therapy, rehabilitation, mechanotherapy, physical training, diet and detox treatment – curing applications under the supervision of a specialist. Our hotel decorated in the style of Laura Ashley is looking over to Edremit Gulf from the front side, also has a bird’s eye view to Turkish and Greek islands. Enjoy this unique natural wonder while you are sitting our lobby and drinking your coffee. Kaz Dağları’nın Edremit Körfezi’ne bakan yamaçlarında kurulmuş Altınoluk köyünün tepesinde bulunan Rezone Health & Oxygen Hotel, yaşam alanlarının bittiği ve Kaz Dağları Milli Parkı’nın başladığı yerde, medeniyet ve doğanın bir arada yaşandığı bir konumda inşa edilmiştir. Sırtını Kaz Dağları’nın göknar çamlarına dayamış, zeytin ağaçları içerisinde, ön tarafından Edremit Körfezi’ne hakim bir konumda, Türk ve Yunan adalarını kuş bakışı gören eşsiz bir manzaraya sahiptir. Hyda Spa Wellness & Fitness started membership registrations. Rezone Health & Oxygen Hotel which is on the top of Altinoluk Village and built on the slopes of Kaz Mountains facing to Gulf of Edremit, started to serving. Rezone Health & Oxygen Hotel has 2 meeting and conference room, both equipped with technical infrastructure and equipments having capacity of 100 people and 12 people for you special meetings and conferences. In our outdoor swimming pool, while you are getting fresh air of Kaz Mountains, you will be enjoying also with fascinating view of Aegean Sea. In our Art Street various magnificent sculptures and ceramics are exhibited which will take you to a magical World.